Something about lifting them off the ground elevates them from the ordinary; take the legs off and any one of these would be just another basic planter. 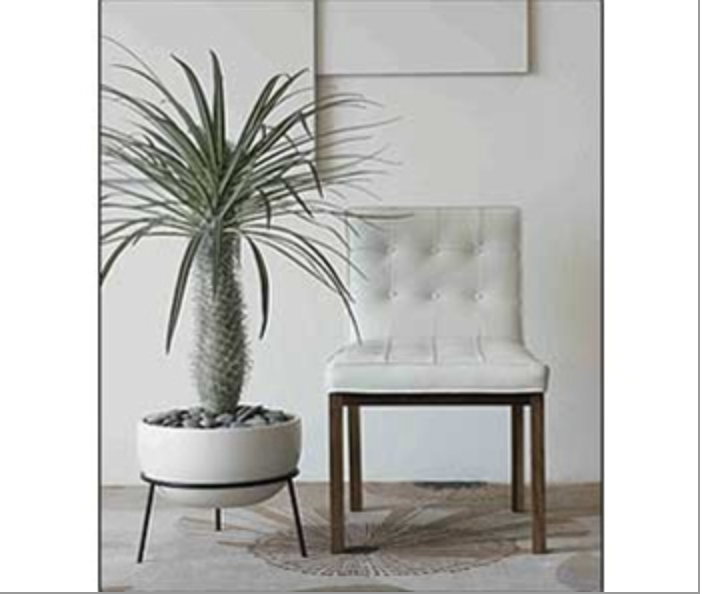 The problem with these leggy beauties is that they cost a bazillion dollars: In order from top to bottom $160 (for the knock off version), $695 (planter on the left) and $189 (planters middle and right), $388, and $325 (according to an expired eBay listing). Yow! 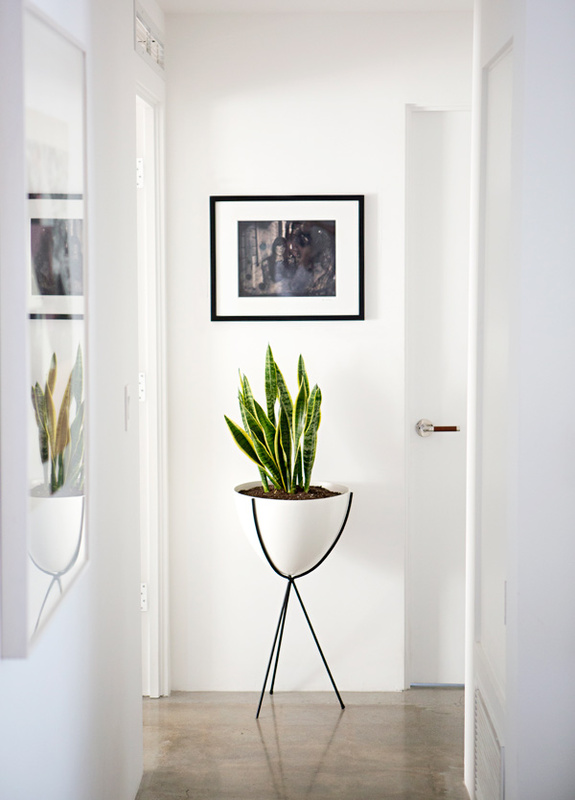 But I loved the legs, and I decided to try to make something similar to the elegant mid-century planters I’ve been coveting. Joann’s usually has coupons you can use by pulling them up on your phone when you’re at the register! The clay dries after being exposed to air for a while, but I found it was pretty forgiving and didn’t dry so fast that it was hard to work with. 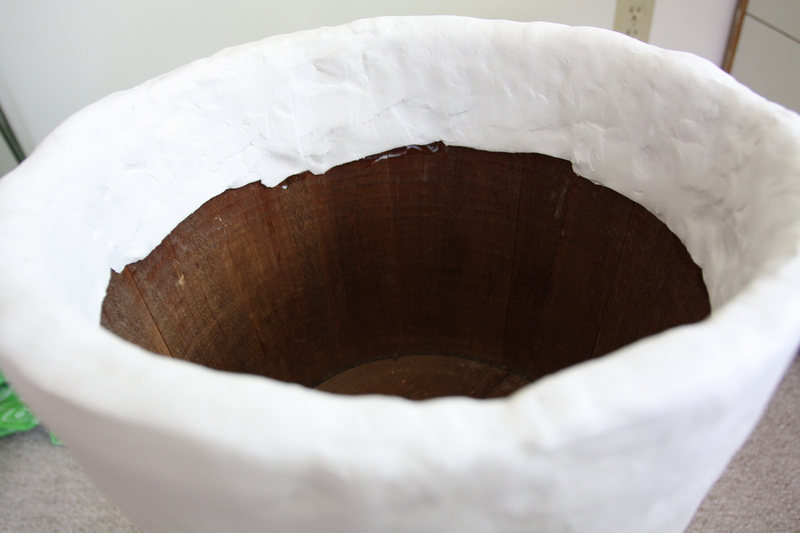 I began by covering the bottom of the planter, and then worked toward the sides. 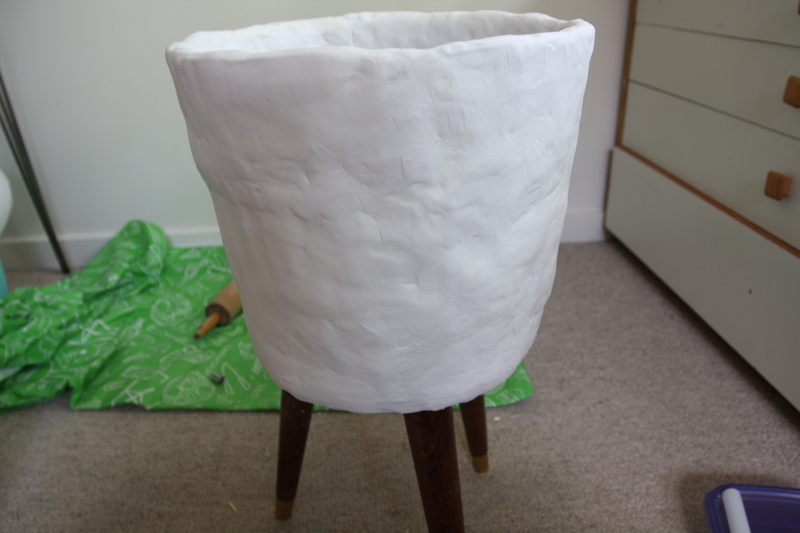 I stuck the chop sticks in the leg-holes thinking that I might need to cover the whole surface with clay. Totally unnecessary. From each package of clay I would tear off about 1/4, then push and roll it out with a rolling pin. When it got stiff, I just put a little water on my hands or spritzed the clay. 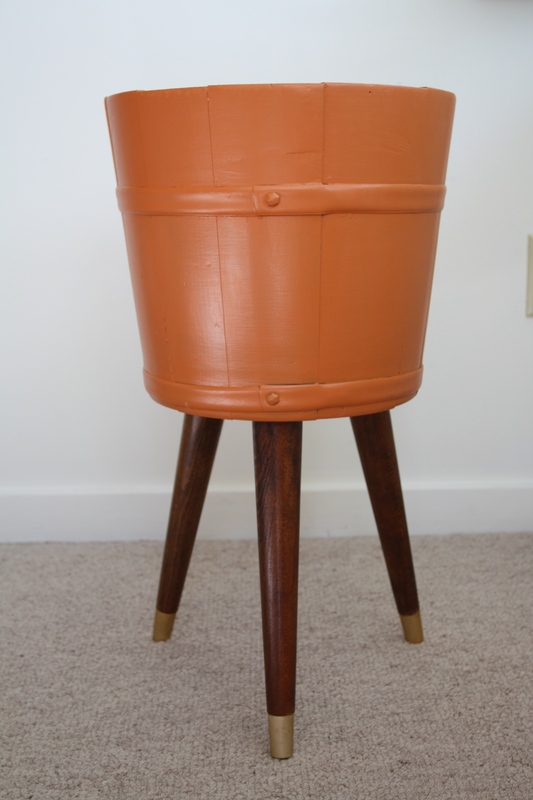 After rolling it out, I smeared Mod Podge on the planter, just to ensure that it would adhere to the wood. 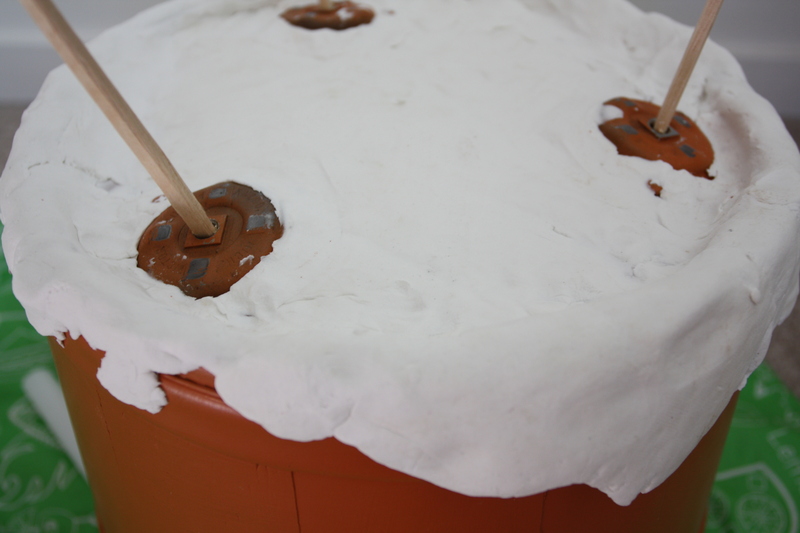 Then I placed the clay slab on the planter, and, using water and a little pressure, adhered it to the adjacent clay. I covered the outside and about 2 1/2 inches down into the inside of the planter. Then I spent a fair amount of time trying to smooth the surface using a damp sponge and my fingers. 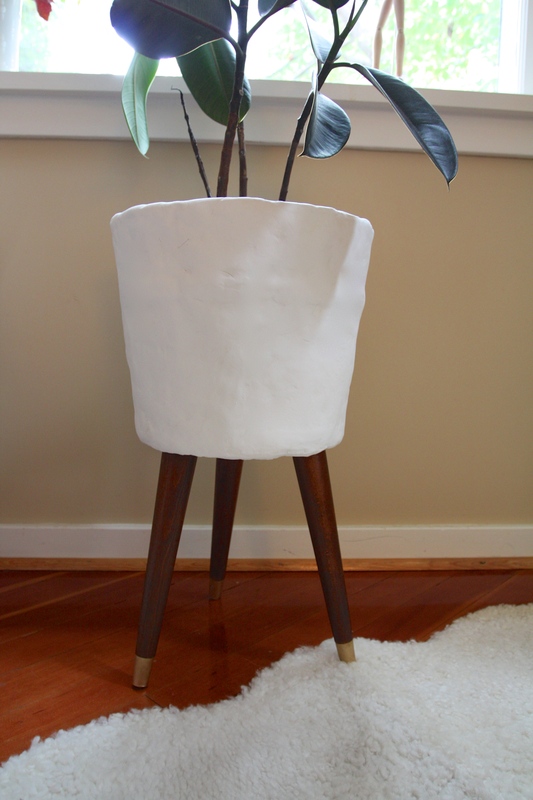 I knew that it would have a more organic look than the fiberglass mid-century planters I’ve been coveting, but I didn’t want it to look like a kindergartener’s pinch pot (which it was definitely veering toward at this point). I let it dry for a day and half. A few cracks showed up, but it didn’t seem to shrink over all. Once it was dry I used really fine sandpaper on the roughest and most textured spots, being careful to not thin any particular area too much. 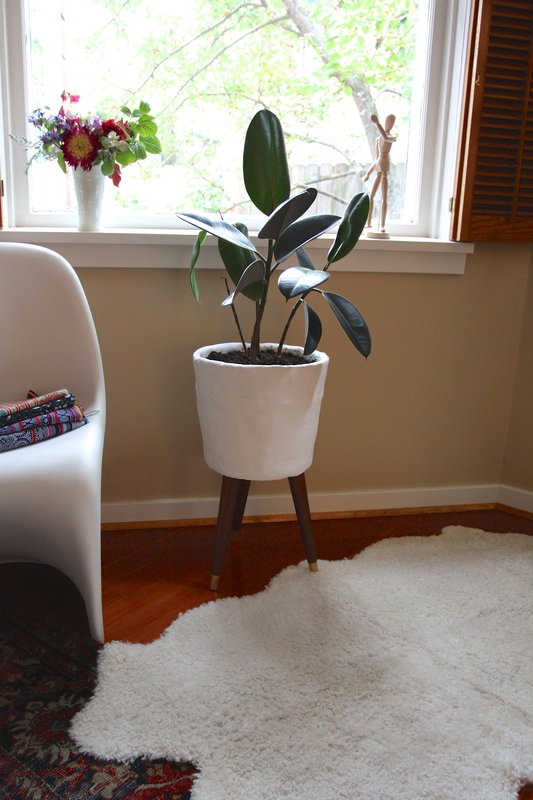 I bought a rubber plant a while ago and stuck it in a pretty basket and forgot it. I never repotted it, and now it’s really suffering. 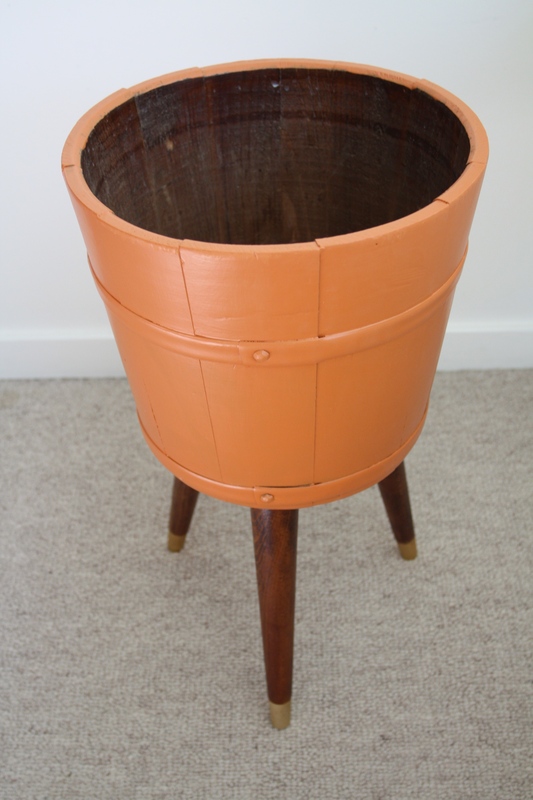 Hopefully this homespun version of a mid-century planter will give it a new lease on life! If you’d like to make your own version from scratch you can buy mid-century wooden legs at Ace Hardware for a song! 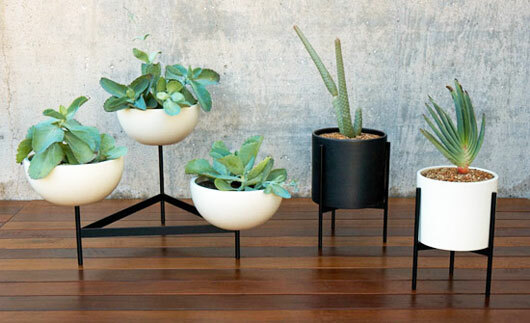 Pick out a rounded plastic planter, like this one, and attach the legs with angle plates. 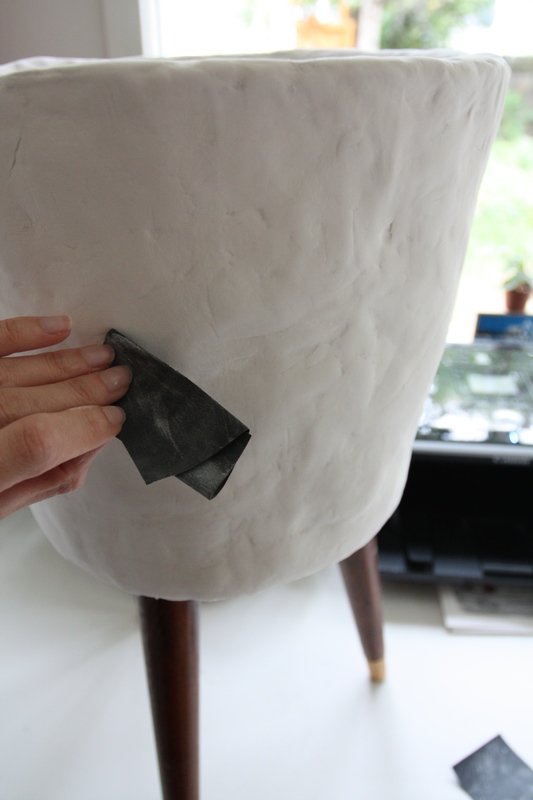 I actually think the air clay will look better over plastic–best to start with as smooth a surface as possible. Now I’ve got myself excited to try doing this project again! 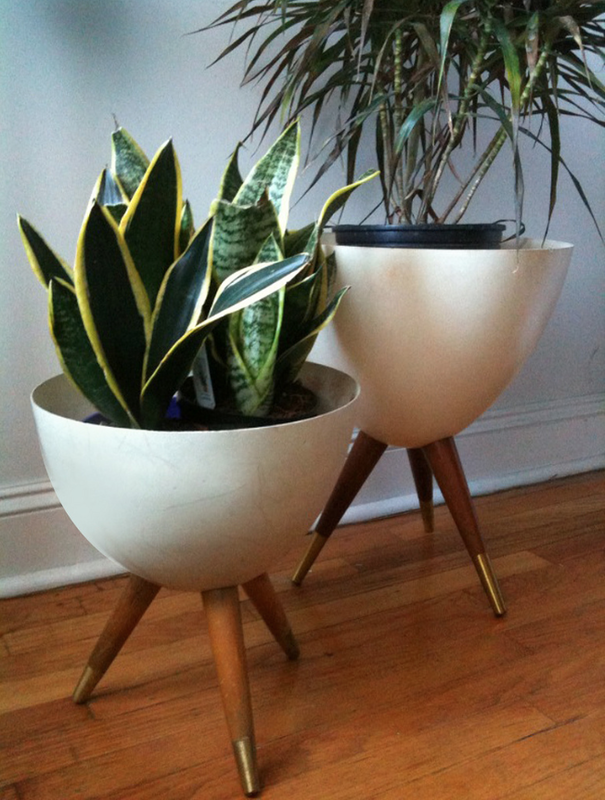 Thanks for reading along, check us out on Friday when we debut a new series featuring our favorite Etsy finds!